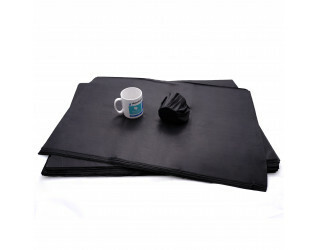 This Machine Glazed, 16gsm, Black Tissue Paper is made from 100% wood pulp, and is a great economical choice for interleaving, wrapping, and void fill. The vibrant colours of our tissue paper make them ideal for the retail industry, and it is also great for general purpose use with items such as crockery and clothing. 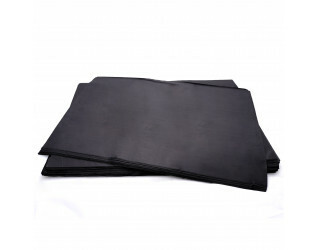 Our tissue paper comes in reams of 480 sheets.